I imagine many readers’ childhoods were filled with dinner table commands, “Eat your peas!” Not this girl. It helps when your own mother never overcame her childhood trauma of peas. Because Mommy Cat has such an intense aversion to ’em, green peas were always absent from the Lovett dinner table and for years I assumed I’d hate them too! 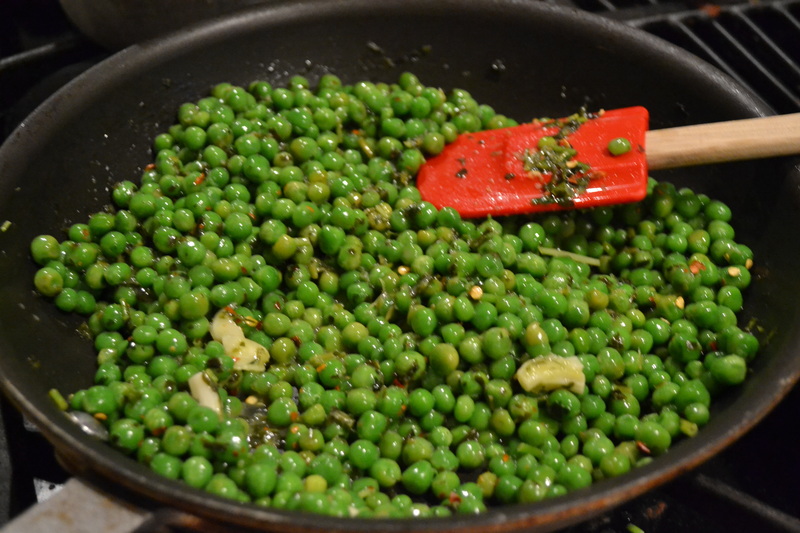 When I finally gave peas a chance, I was delighted by their texture and fun burst of fresh flavor. 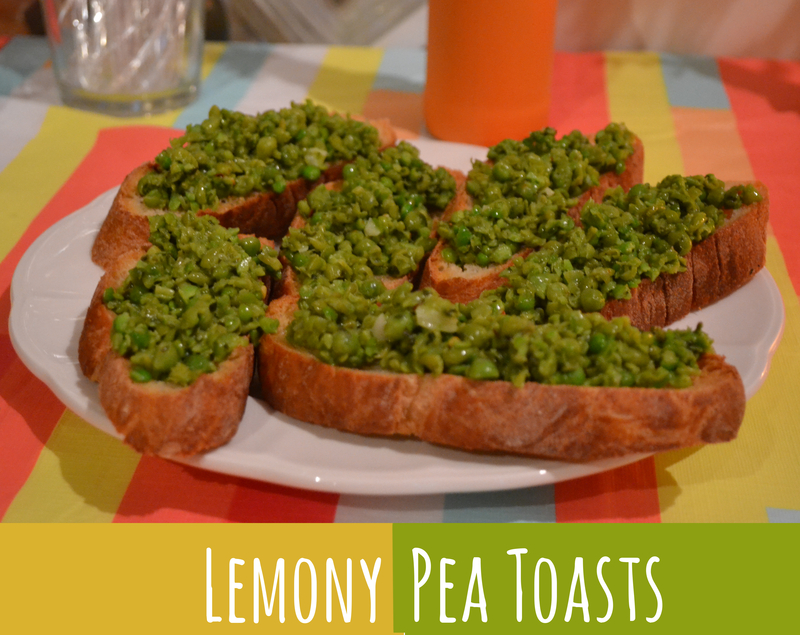 This lemony pea mash on toasts makes an easy peasy app, and the lemony pea mash would make a scrumptious spread for a veggie sandwich (I’m dreaming of a goat cheese, lemony pea mash, avocado, and sprouts concoction). In a large pan, heat olive oil, garlic, parsley and chives. 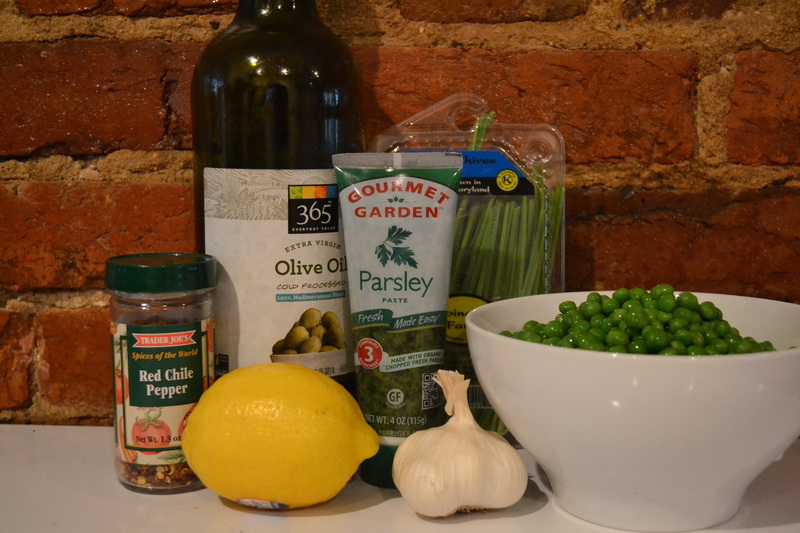 Add your peas and squeeze in your lemon. Add red pepper and salt to taste. Heat mixture until your peas are thoroughly cooked, but before they’re too mushy. 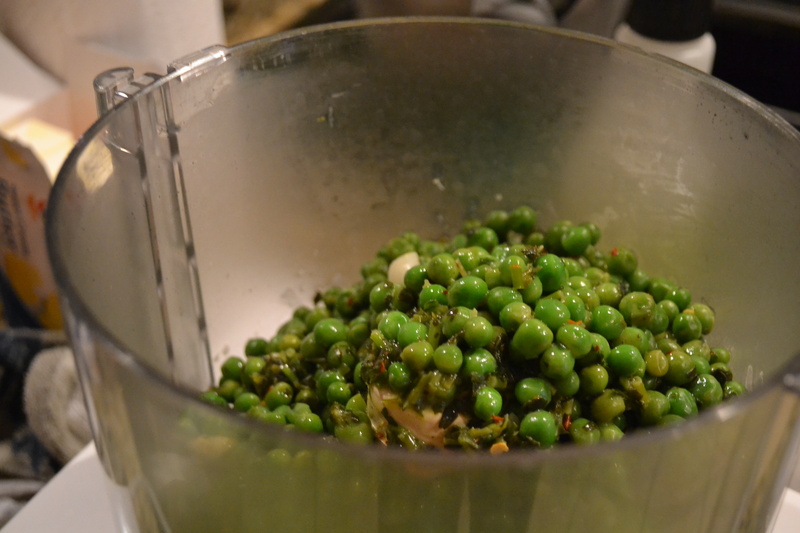 Pour pea mixture into your food processor and give it about 8 good pulses – I wanted to maintain some semblance of pea texture so opted for a coarse mash over a pea puree – but do whatever floats your boat. Slice (or solicit a sous chef, thanks One Sock Wonder!) your bread to desired width – I recommend ~1/2 inch – and generously drizzle on olive oil and toast. Heap room temperature pea mash onto toasts and enjoy!